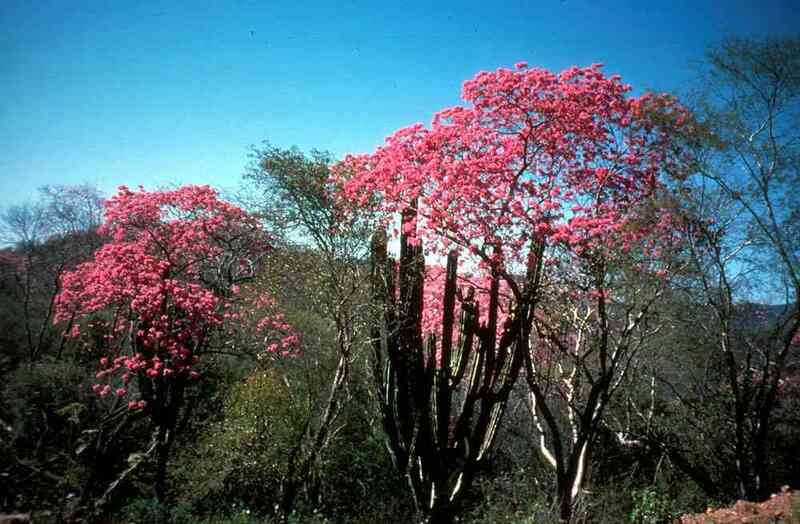 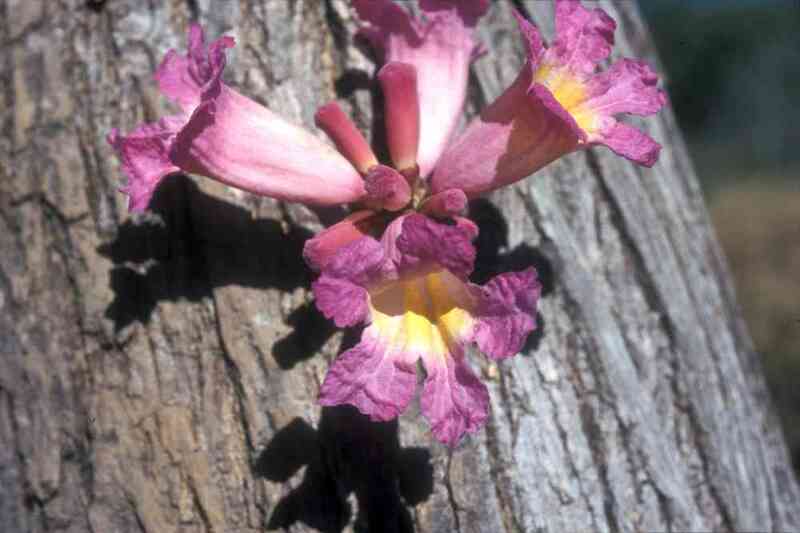 Tabebuia impetiginosa is a widespread hardwood tree of the New World tropics, extending from southern Sonora to Argentina. 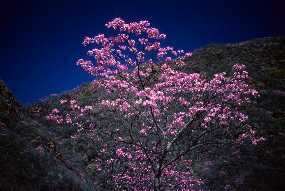 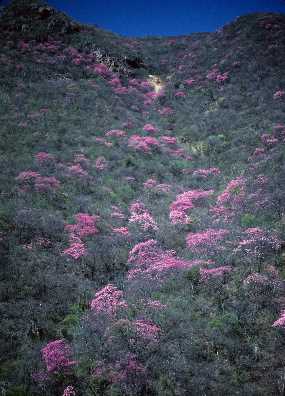 In Sonora it grows 15 to 50 feet tall with a straight trunk that is usually unbranched to about half the tree's height. It is unusually long-lived for a tropical tree, perhaps up to 300 years. This is one of the showiest trees in the tropical deciduous forest of Sonora. 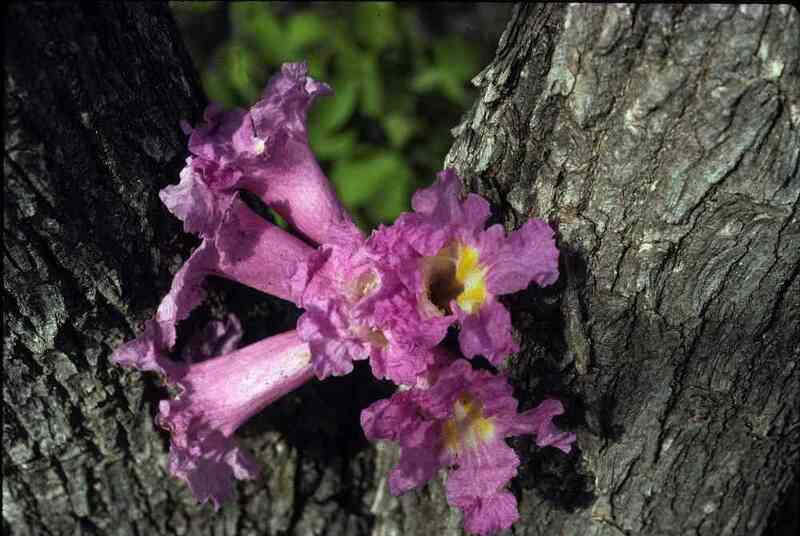 Amapa flowers for about two weeks per flush, and may have two or more flushes per year. 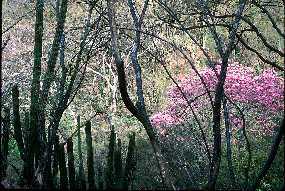 A flowering event lasts about two weeks; it usually peaks in the first half of February but can occur from October to March. 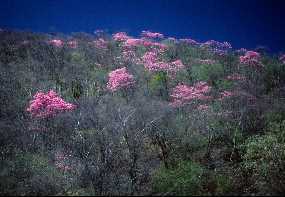 It is a common trait of woody plants in the dry tropics, including Tabebuia, that flowering requires a period of sufficient drying to cause leaf drop. In contrast to TDF farther south, southern Sonoran populations of amapa and other species then need a pulse of winter rain to trigger flowering. If autumn is wet enough to keep the trees leafy or if the winter is rainless, flowering is poor or may fail altogether. Brazilian members of this genus are known as ipe and provide very high quality hardwoods. 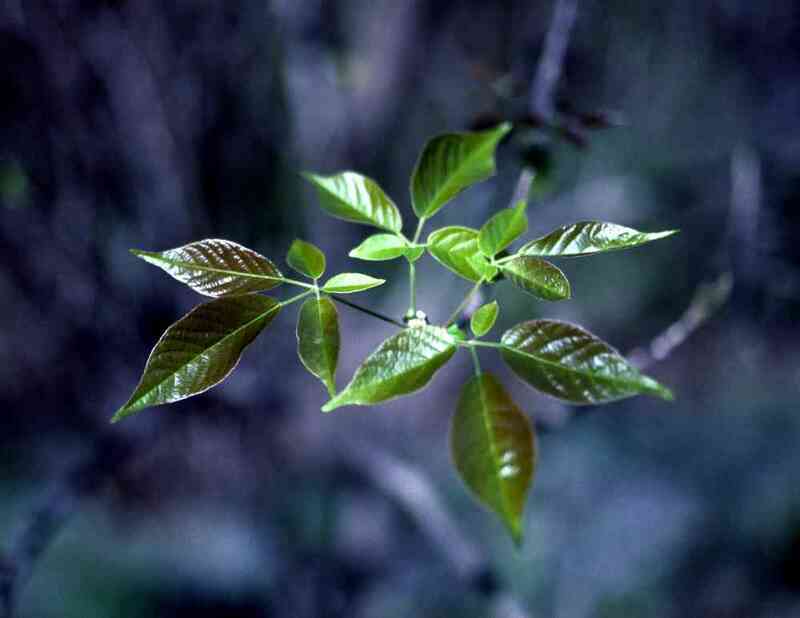 Amapa is also a superior wood. 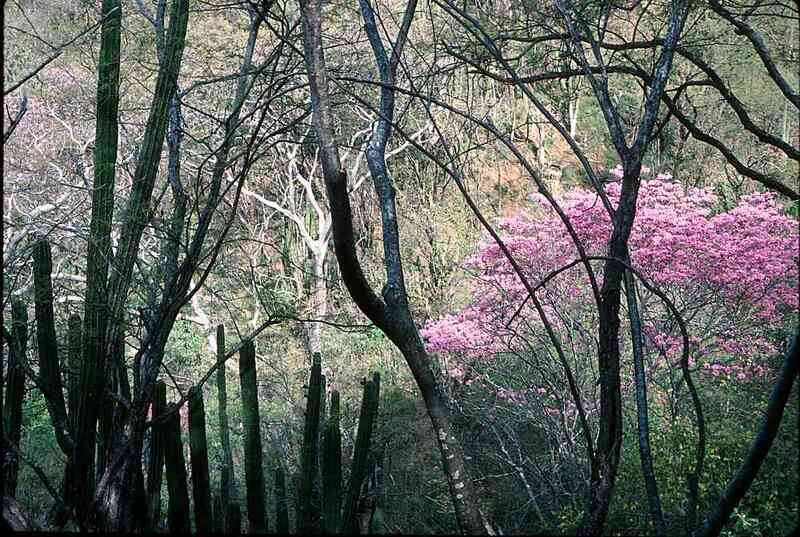 The tall straight trunks were commonly used as roof beams in colonial houses in Alamos, which were covered with 18 inches of mud for insulation. The wood is not only strong enough to bear the weight, it lasts over 100 years because it is resistant to fungus and termites. 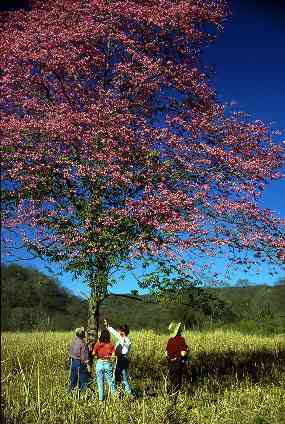 The tree became severely depleted from overharvesting; after several decades of strict protection it has made a dramatic recovery.